Oak Alley Plantation is included in “The Top 50 Most Beautiful Scenic Places in the U.S.” by one website and “Top 16 Most Photogenic Places in the South” by another. When you spend the night in one of the cottages at Oak Alley, you then have the privilege of roaming the secure grounds and photographing to your heart’s content at sunset, at night, and in the early morning. Sitting midway between New Orleans and Baton Rouge on the Great River Road running parallel to the Mississippi River, Oak Alley has a location to suit many occasions. When you hear the word “plantation,” the corridor of live oak trees and the Greek Revival style mansion at Oak Alley come immediately to mind. Often called the “Grande Dame of the Great River Road,” Oak Alley has been the setting for numerous movies, television episodes, even Beyonce music videos. During normal tour hours, it is possible to get some nice photographs, but being able to roam the grounds after hours is a huge advantage to guests who are spending the night on this amazing property. Of course, it is a perfect setting for weddings, too. Some cottages available for guests are more than a hundred years old, while others have been newly-constructed to meet the growing demand. The Doctor’s Cottage, for example, was built in 1905. It has a sitting room, a full kitchen, a porch, a bedroom with a queen bed, and a huge whirlpool tub with a shower in the large bathroom. Several cottages offer two bedrooms, plus there are others that contain two one-bedroom units connected by a shared screened-in porch – perfect for couples traveling together. Each cottage includes free Wi-Fi, board games, central heat and air, microwave, refrigerator and Tempur-pedic mattresses. If you make reservations by 2:00 p.m. on the day of your arrival, an evening meal can be waiting in your refrigerator for whenever you get hungry. Containers are microwavable, and there are plenty of plates and utensils. What could be better than seafood gumbo, rice, salad and bread pudding without the hassle of getting back in your car? Other menu options include crawfish etouffee, red beans and rice with sausage, and desserts such as pecan pie, buttermilk pie or pecan praline cheesecake. There is an extra charge for dinner, but having it ready and available adds to the relaxing, care-free atmosphere of Oak Alley. If you are spending more than one night, you might choose to take advantage of Oak Alley’s proximity to New Orleans or Baton Rouge for dinner and entertainment. There are hundreds of options in both cities, but if you are unfamiliar with the area, then Galatoire’s Bistro is a lovely French restaurant in Baton Rouge, and Gumbo Shop is very popular in the French Quarter of New Orleans. Oak Alley Restaurant is located in a 19th century cottage just a short walk behind the mansion. Breakfast is served from 8:30 a.m. to 10:30 a.m., and selections range from beignets to omelets to French toast and beyond. Community Coffee’s gourmet brand is hot and plentiful. You’ll be able to enjoy an unhurried start to your day before heading out to tour other plantations, particularly Laura Plantation and St. Joseph Plantation, which are the closest. The cottages at Oak Alley Plantation provide a perfect way to truly get away from stress, hurry, crowded highways and a frantic life. Allow yourself this experience to renew your energy or to have uninterrupted time with your spouse, your family or your friends. 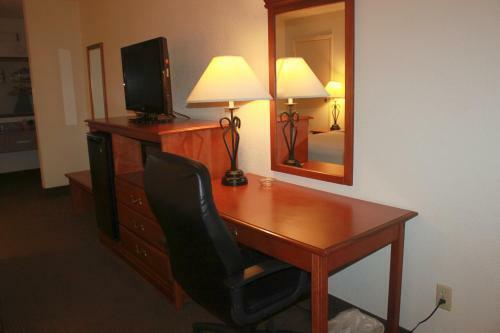 The beds are comfortable, the amenities are plentiful, and breakfast is delightful. Maybe you will return home as relaxed as the Spanish moss draped in the towering live oak trees.